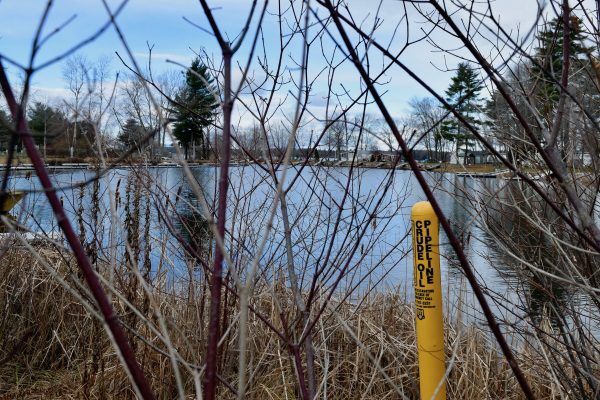 The oil companies that own the Portland Pipe Line Corporation (PPLC) now want to reverse the pipeline’s direction to bring Canadian tar sands oil to South Portland, where it would be exported. 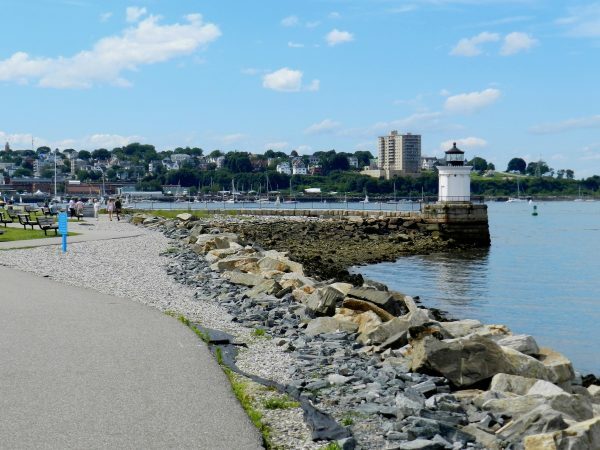 In 2013, prior to the city passing the Clear Skies Ordinance, residents of South Portland gathered the 4,000 signatures required to place a measure on the ballot, which would allow voters to decide whether or not they wanted to allow tar sands oil in their community. That’s when the oil industry started paying attention. The American Petroleum Institute ended up spending over $750,000 to help defeat the ballot measure, which lost by fewer than 200 votes. But essentially the judge is saying that just because the pipeline is not economically viable today doesn’t mean it couldn’t be viable at some point in the unknowable future. The Keystone pipeline’s recent oil leak occurred in an agricultural field in South Dakota and did not immediately contaminate any water sources. However, the 2010 leak of the Enbridge Line 6 pipeline resulted in tar sands oil going directly into Michigan’s Kalamazoo River. That spill took five years and more than a billion dollars to clean up. This entry was posted in Energy markets, Environment, Global warming, Guest Post, Legal, Politics, Ridiculously obvious scams on December 18, 2017 by Jerri-Lynn Scofield. Yumm! The potential for drinking/bathing water from which tar sands oil has been removed by some means…(minerals added to enhance flavor) The concept which sticks in oaf’s mind is that this tar sands product is potentially and inconsistently abrasive and can wear through the inside of piping…which in this case is at some depth below the lake surface. How does one inspect/maintain/repair?…Or, more significantly: Can the environmental and social catastrophe resulting from such a disastrous situation ever be undone? Except that they have rigged the software in the robots so they don’t detect the cracks that require fixing. I worked on the original 2013 ballot measure campaign to stop this pipeline reversal and can attest that the oil companies pulled out every dirty trick in the book. The anti-pipeline group had canvassers out going door to door explaining the proposed ordinance and how residents should vote if they wanted to stop it. A ‘Yes’ vote meant ‘stop the pipeline’ however we heard rumors that some residents were told that they should vote ‘No’ if they wanted to stop it. Those were the oil company’s people deliberately spreading false information and as mentioned above, the ballot measure lost by just a couple hundred votes. You have to wonder how the original vote would have turned out if everyone was acting honestly. Here’s an important point not mentioned in the article. The pipeline had been shipping oil from Maine into Canada for years but the demand for oil fell once Canada began mining the tarsands and the pipeline fell into disuse. This whole controversy began several years before when the pipeline company quietly put in a request with the city to allow construction of two tall smokestacks. The city’s code enforcement officer at the time had a penchant for not actually enforcing the city’s code and approved the smokestacks even though city ordinances pretty clearly stated no buildings of that height were allowed. Code enforcement decided they were ‘structures’ and not ‘buildings’ in order to do the pipeline a little favor. And somebody noticed. They got organized, gathered signatures and got the original measure on the ballot. Once the ballot failed, likely due to oil industry dirty tricks, we didn’t give up and the city council passed an ordinance on its own – that’s the one that’s now being contested in court. Despite the recent bad news, the city is still determined to block tarsands one way or another. Not only that, the code enforcement officer who started it all with their incompetent ruling has ‘retired’ and other city officials who had been doing a poor job have been replaced. Also, the whole way the local government operates is rapidly changing. In the past, the elected city council served to rubber stamp decisions made by non-elected city employees, employees who were sometimes very cozy with business interests. They along with the compliant council would change zoning against the protests of residents on a regular basis. Now the tables have turned somewhat, and we have a better city council and new city officials who are more responsive to what the voters actually want. It took a crisis for people to get organized but they did and, despite the lawsuit, things are looking up in the area. There is still a ways to go here, but good government is possible. But you can’t wait for some national savior to come and do it for you. Your comment “the elected city council served to rubber stamp decisions made by non-elected city employees, employees who were sometimes very cozy with business interests. They along with the compliant council would change zoning against the protests of residents on a regular basis. Now the tables have turned somewhat” — sounds exactly like Berkeley. It took a small crisis in Berkeley, along with the old mayor retiring, to oust the pro-developer Council – and the jury is still out on whether the new “progressive” Council members will tow the line regarding the City Manager’s agenda. Democracy is not a goal – it is a continuing process. We must stay involved and avoid what Cornel West calls sleepwalking.